How many apps and tools do you use on a weekly basis? How about every day? If you’re a marketer, that number is likely more than you can count on one hand -- and that doesn’t include anything administrative or personal, or all of the standard tools you use to do your job (email client, calendar, word processor, the list goes on...). 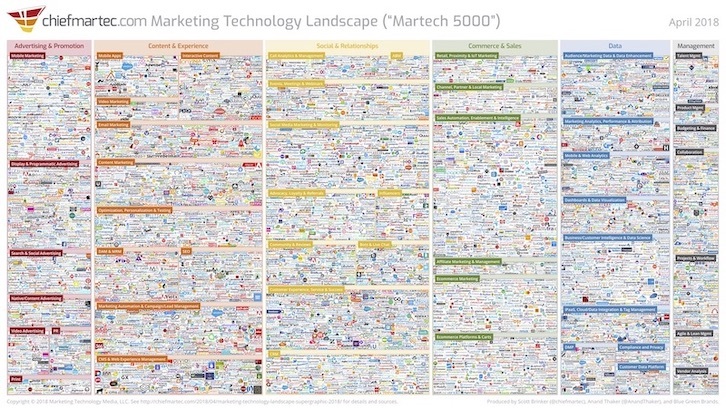 Across all categories, there are thousands to choose from (over 6,400 as counted earlier this year by ChiefMartec.com). Wow. How the heck do you pick the best ones for you? This article is the first of our IMPACT Toolbox series. With IMPACT Toolbox, we’ll discuss all of the latest (and even underrated) marketing tools that you need to try. We’ll make recommendations by category, helping you figure out what tool is best for your situation, and introduce you to tools you may not have heard of otherwise. Have questions about a marketing tool, whether or not we’ve reviewed it? Reach out to us and we’ll see how we can help. 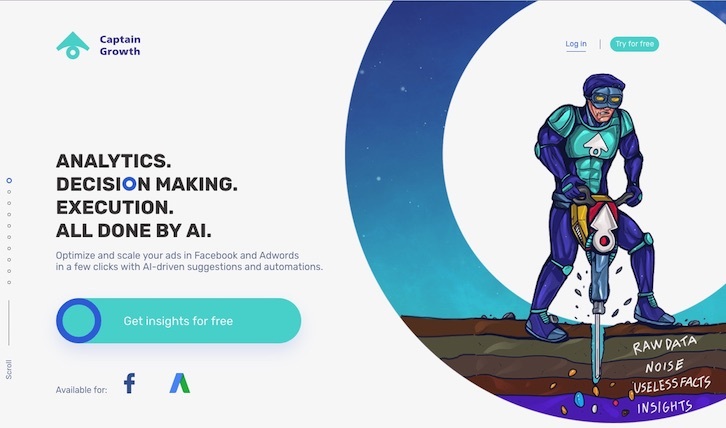 Captain Growth: Improving your Facebook and Google ad spend with A.I. 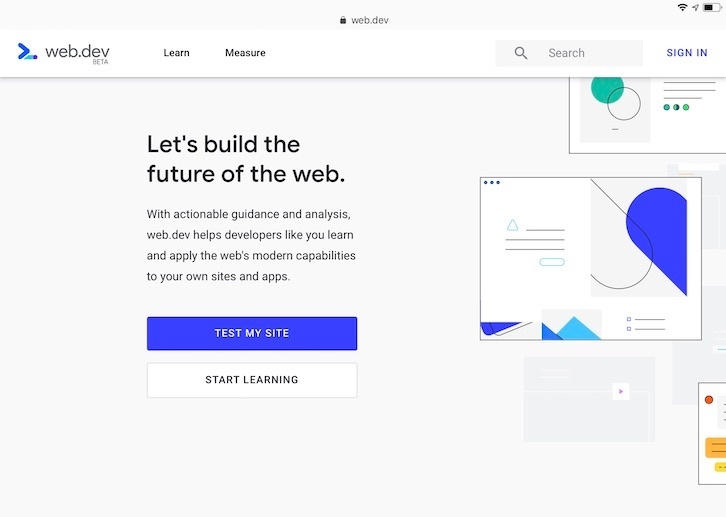 Google’s web platform team has put together an amazing resource for modernizing your website with web.dev. This site will help you strengthen your website’s foundation for both Google web standards and general usability, and acts as a singular resource for the main requirements of your website. In order to do this, you have two main options: Learn and Measure. If you’re a web geek like myself, you’ll dive right into the Learn section and come up to breathe tomorrow. But I can see some of your eyes glazing over. You may have more fun with when you “Measure” your site with the tool. Now, there’s a lot to dig into here. You’ll recognize the general format and some of the numbers from other analytics tools. There’s a scorecard at the top of your audit, and then a series of recommendations sorted by highest impact and most important category. Every recommendation has a snippet of what to fix, and then a link (some outside of Google) to dig deeper into the issue. 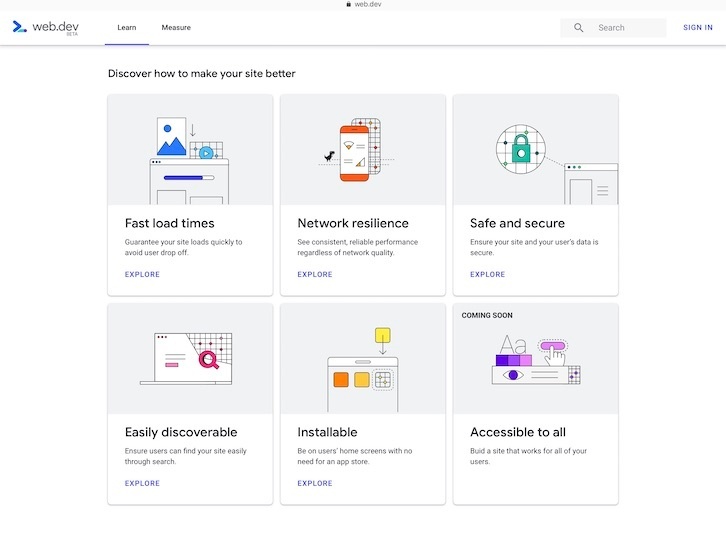 So how does this compare to something like Google’s PageSpeed Insights? 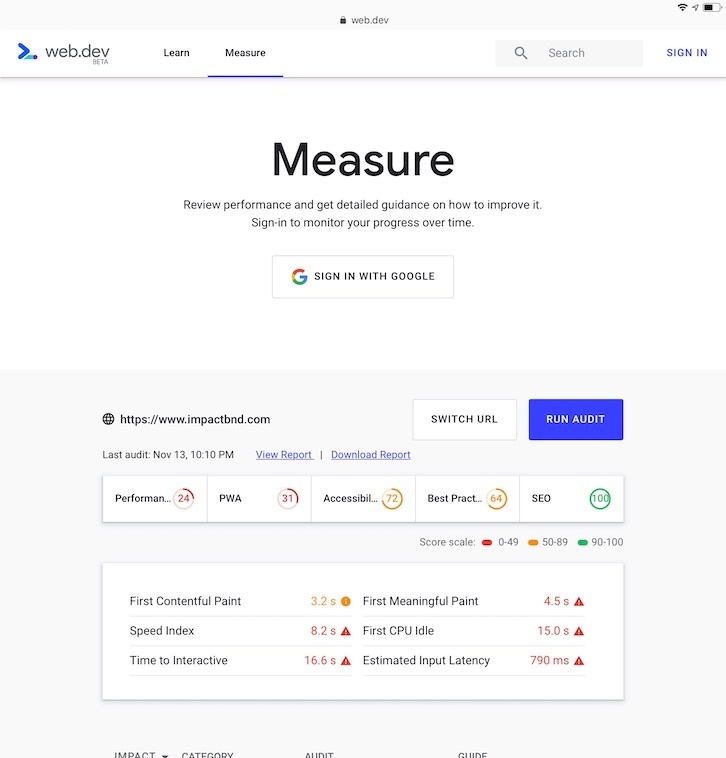 While PSI helps you improve the performance of your website, Web.dev’s Measure test also includes scores for Accessibility, overall Best Practices, and SEO (not to mention being easier on the eyes). That may help trim down the number of tools you use to test your site (or beef up the ones you have). And you can sign in to keep track of your improvements over time. New Monday morning ritual? Yes, please. Full disclosure, we just launched the new IMPACT site earlier this month and we’re still working on improving the performance and experience. Check it out! 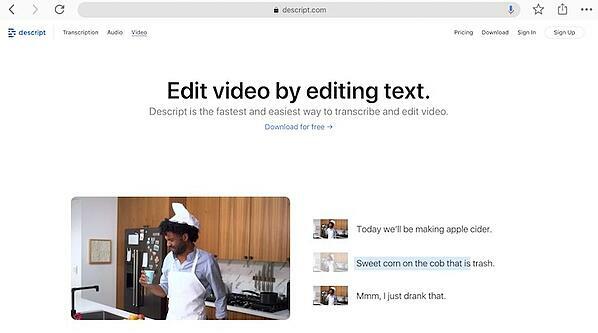 By now, you’ve heard all about how video and audio are great mediums to reach your audience, but to keep things search friendly and accessible, that usually means they should include a transcription. If you need fast transcriptions and want to easily chop out the bits you don’t need, Descript is right up your alley. Drop in your media, review the transcription (make edits as needed), then delete sections just like you would in a text editor. When you delete the text, that section of the media is deleted as well. Great way to kill two birds with one stone! 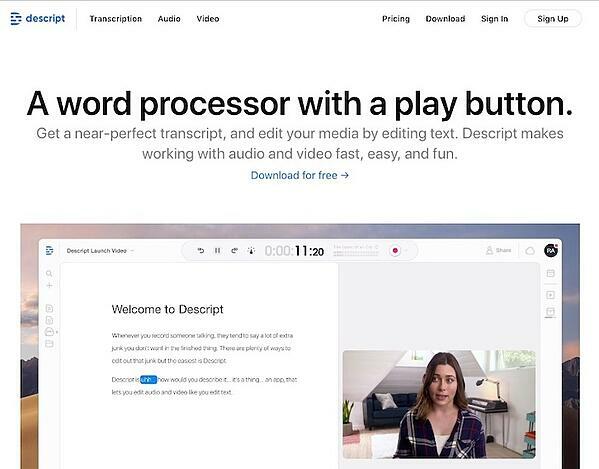 If you don’t have the skillset or budget for media editing, you can use Descript to get a rough but effective video and transcription in one go. Even if you do have the skillset, Descript is a great way to get through the first round of editing and then export a nondestructive project to another editing tool like Final Cut Pro or Premiere Pro. Wondering how your site pages look when shared on various social platforms? How about that page title in a Google search? Or the image? 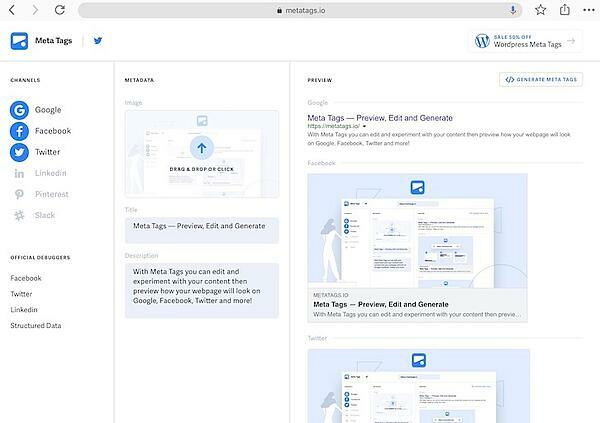 MetaTags.io helps you quickly check all the major tags of your site and generate the ones you need. It makes the otherwise technical process easy, even enjoyable. You can start from scratch, picking the platforms you’re interested in, then drop in a photo, title, and description on the left. The previews will show up on the right, and clicking Generate Meta Tags in the top right will do just that. Or you can enter a URL in the page header and it’ll pull the Title and Description in for you, then you can play with channels and images. As an extra benefit, they give a nice little refresher for meta tags and their importance. As most marketers, you’re probably sharing links on a regular basis. Wouldn’t it be great to retarget the people that click on them? Shorby makes that possible! Yea, this just got real. Plug your ad tracking info for Facebook and Google into Shorby, grab your shortened links, and every shortened link click can be used to retarget in Facebook, Instagram, and Adwords. Even when you’re sharing on Pinterest, or Reddit, or whatever dark hole just took up your entire afternoon, you can retarget. Oh, and do you wish you had more options for your Instagram bio link? Bonus feature (or driving force, am I right?). 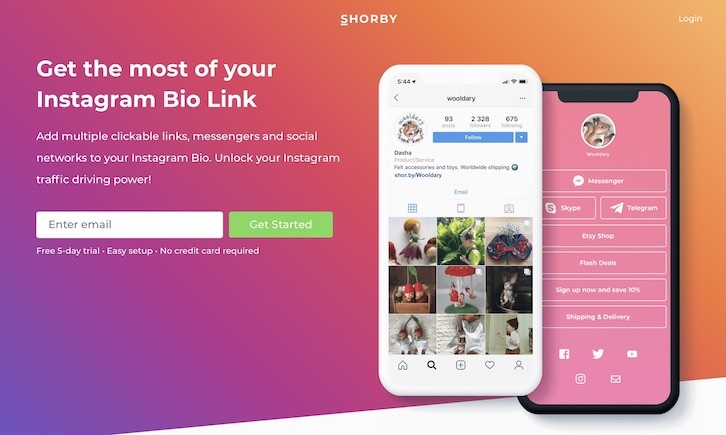 With Shorby, you can get a fancy IG bio link with a lot of flexibility. Maybe you want to easily connect with your audience on other social platforms? Give them a few options to contact you directly? Or you could include additional links for landing pages, flash sales, etc. 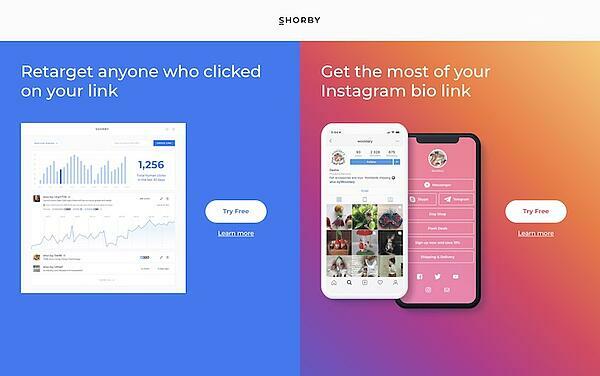 Setup Shorby the best way for you, and add a super-powered link in your bio. There’s no substitute for human intelligence. Except for artificial intelligence. Computers are really great at certain things, and analyzing a ton of data to help you make a judgment call is one of those things. That’s where Captain Growth comes in. This tool will analyze your Facebook and Google ad spend and help you figure out where to add more budget and where to cut your losses. Captain Growth comes with a 14-day trial, so it’s worth a shot to see what recommendations you can get out of it. And if you’re still struggling to figure out where ads fit for you, Ali Parmelee can get you started with the right inbound marketing mindset for Facebook ads. Chatbots and related tools are popping up like gophers these days, but most of them focus on one or a limited number of channels. While I don’t encourage you to use every option at your disposal, HelloBox gives you options of up to 10 channels you can customize to let your audience reach you best. That’s about as close to omnichannel as it gets. You can also specify display options, widget alignment, response time, a welcome message, time zone, and even your business hours and if you link your Google Analytics account, you can track all the clicks in your widget. 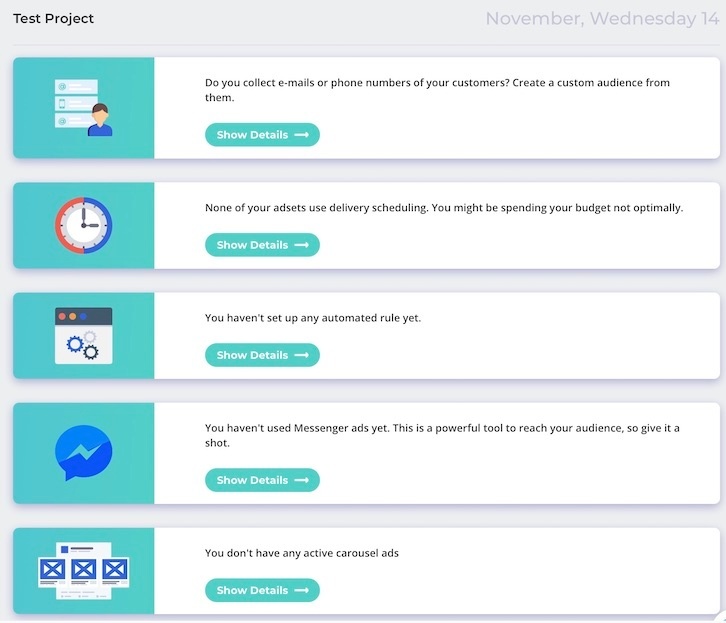 There are fancier options with CRM integrations and complex bots behind them (and some bots that can boost your own productivity), but for the options and the price point, HelloBox is certainly a contender if you’re looking to get some kind of persistent contact box onto your website. At the end of the day it’s important to enable your audience to reach you in the way that is most convenient for them. HelloBox is a great tool for making that happen. Tools Are Your Friends, Friends. As long as you take the time to find the right ones for you and your organization, tools can transform your organization. 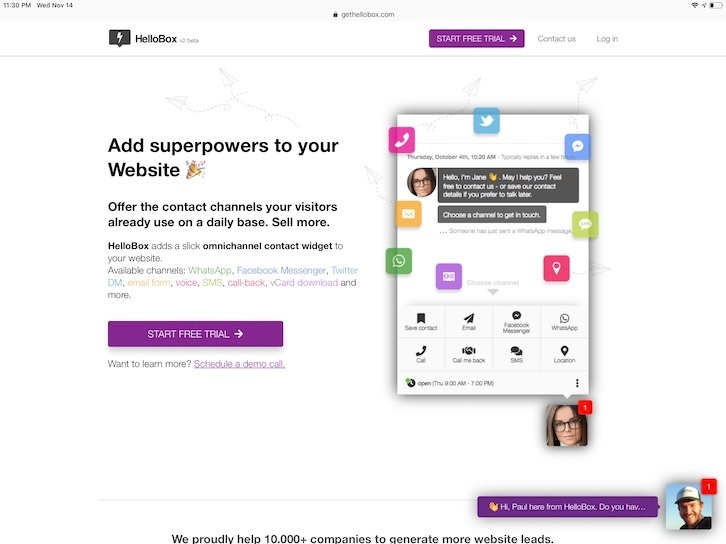 Whether you’re looking to learn more about website modernization, quickly transcribe and edit audio and video, debug and generate meta tags, retarget your shared links (and boost your IG bio), improve your Facebook and Google ad spend, add an omnichannel contact widget to your website, or anything else for your business (or self! ), there is probably a tool that can help. If it makes your process easier, faster, or more efficient, that is a win -- and that’s true for more than just marketing. Anything you can add (or remove) for your toolbox that makes your day better will make your work better too. 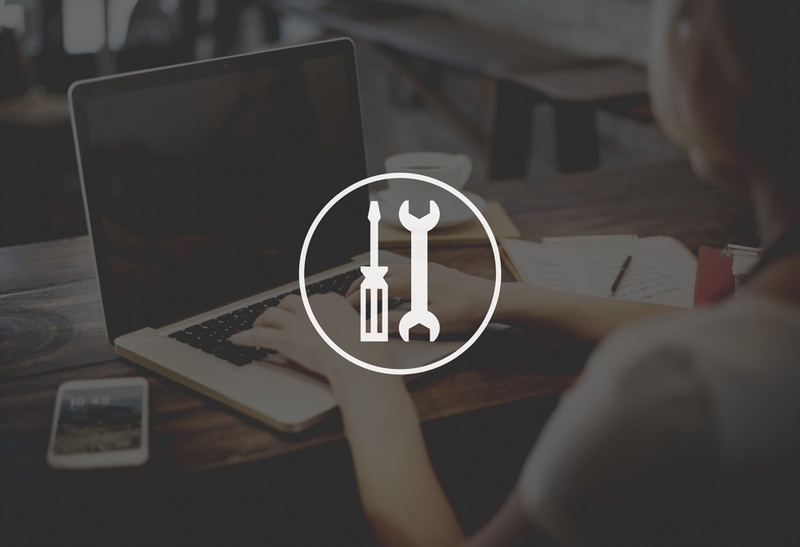 Do you already have some tools you’re using, but you’re having trouble mastering it for what you need? Carina Duffy talks about a great process to master a tool that’s always changing. Did you find something useful in our round-up? Let us know how one of these tools helped improve your business in IMPACT Elite! And if there’s a specific tool you have questions about, let us know and we’ll see if we can help you figure out the best option for you.